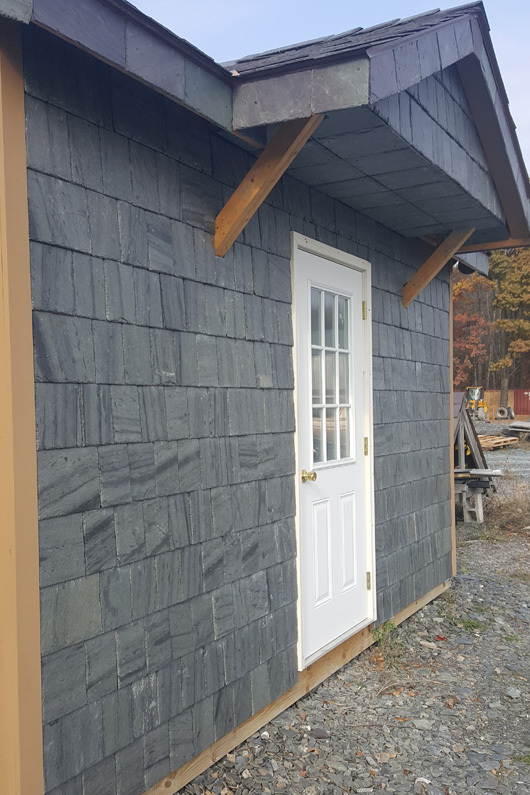 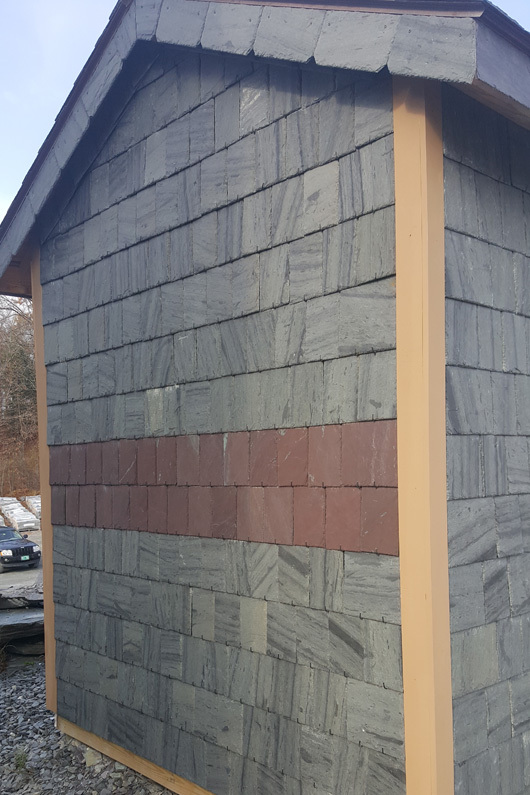 Slate walls were installed on this shed using the SlateTec slate installation system. 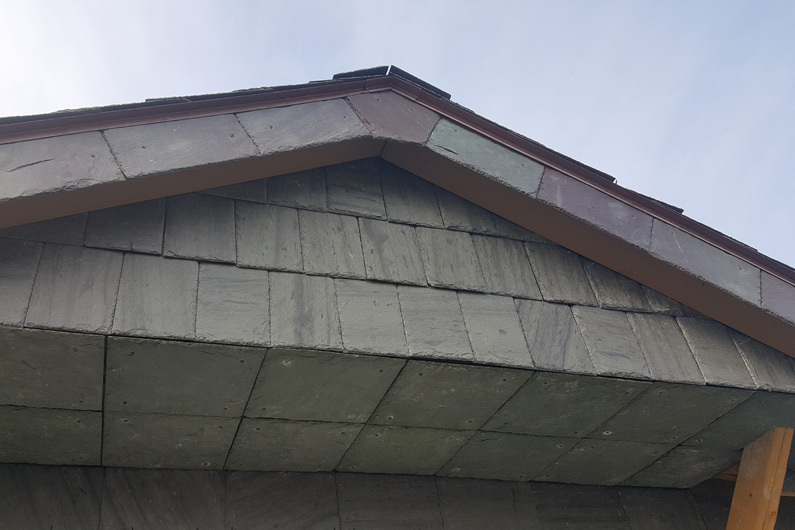 Two different attachment methods were used along with the SlateTec system: stainless steel hook and a straight copper nail install. 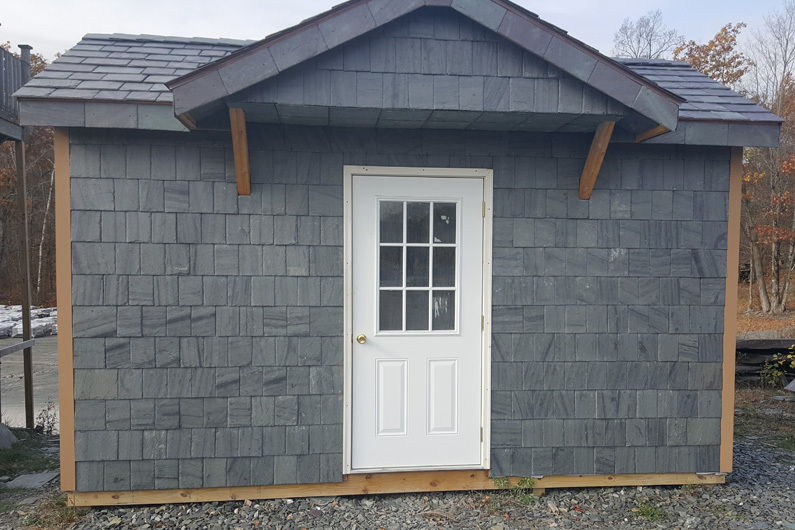 The size of the slates around the outer edge border of the walls are 12″ x 9″. 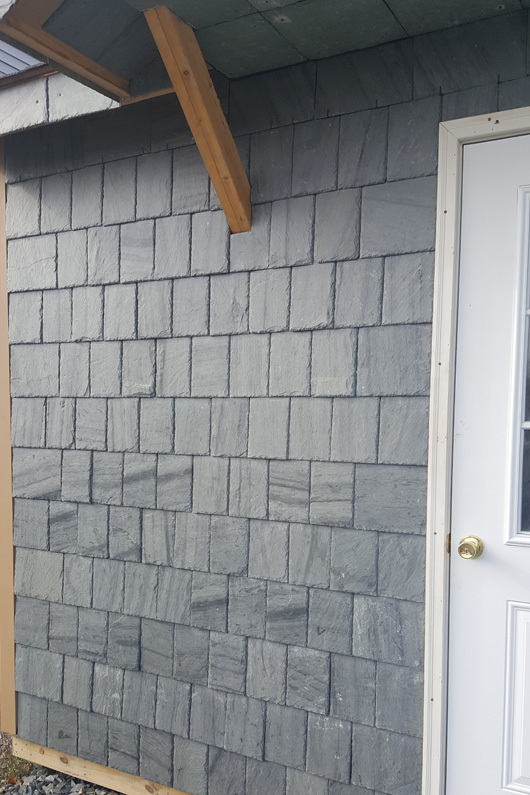 The rest of the slates along the inside of the walls are 12″ x 6″. 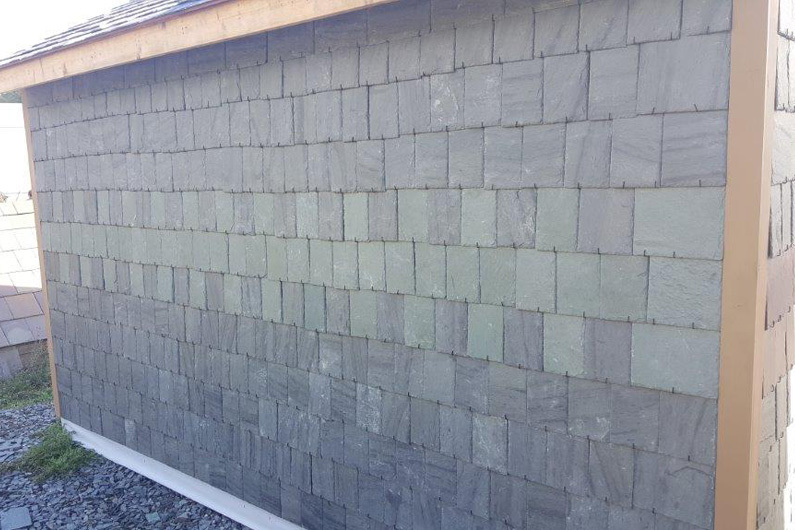 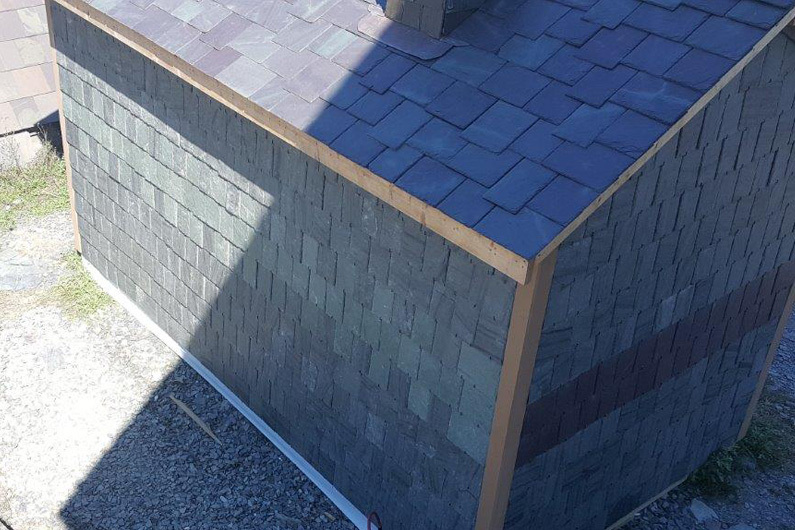 The SlateTec slate installation system was also used to install the random width slate roof.